Family and friends will know that Santa is nearby when they spot this Ho Ho Ho Red and White Ribbon at your home and integrated into your holiday decor. 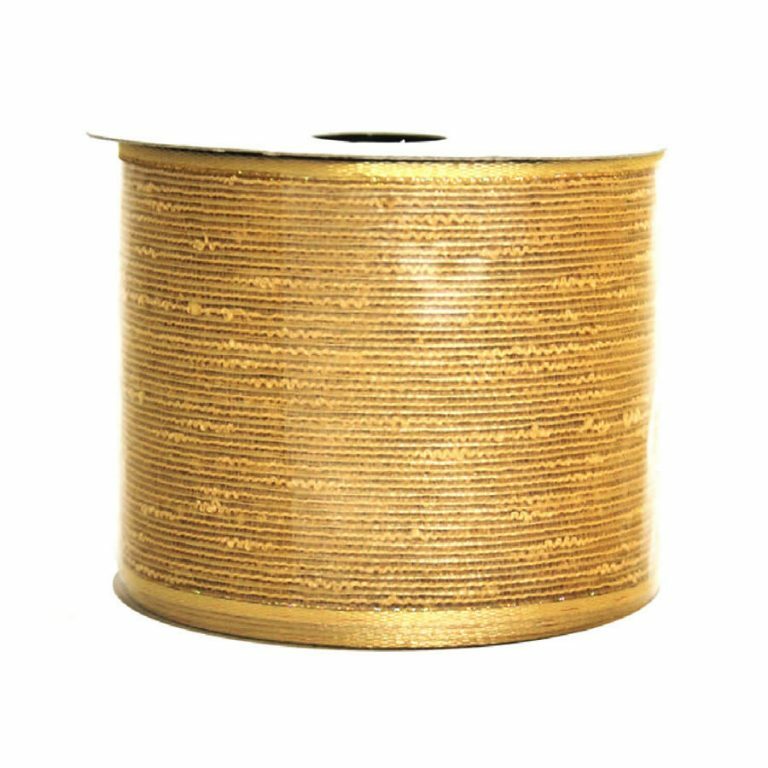 This fine ribbon measures approximately 9-metres in length and is an ample 7cm in width; this allows you to create rich, lush bows and drape your tree in this extraordinary ribbon. 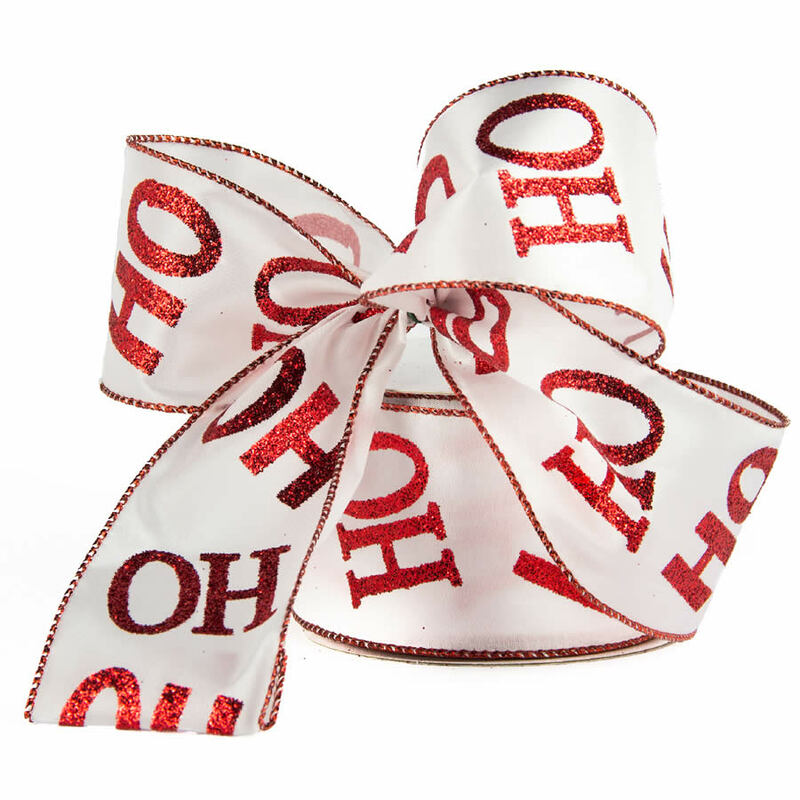 There is a whimsy and childlike wonder associated with this ribbon, and each length of wintry white ribbon is accented in bold letters spelling out Santa’s favourite saying- “Ho Ho Ho”. 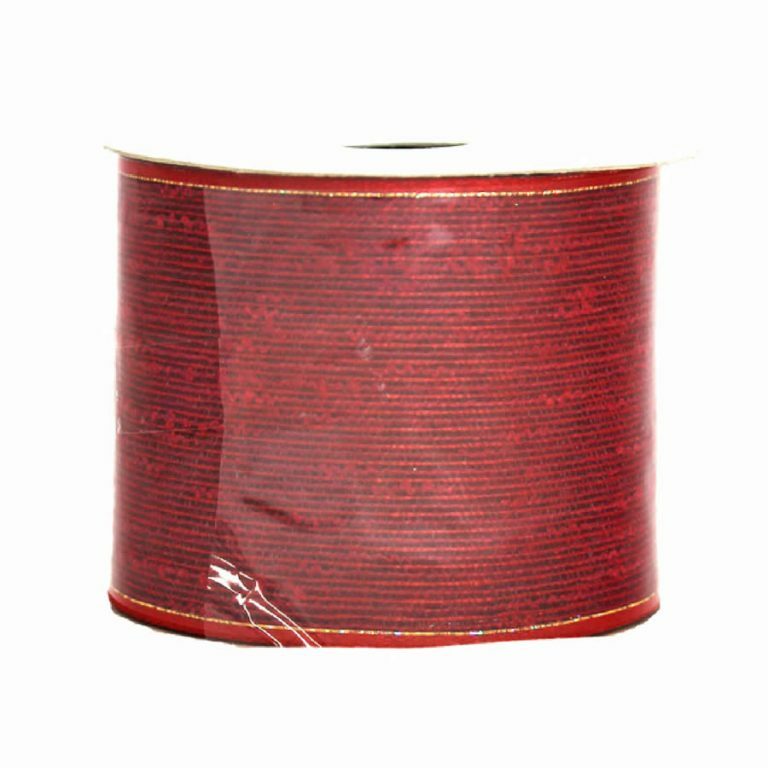 The red accent around the edging does more than give this ribbon a polished appearance- it also hides the clever wire edging that makes this particular ribbon so very easy to use. 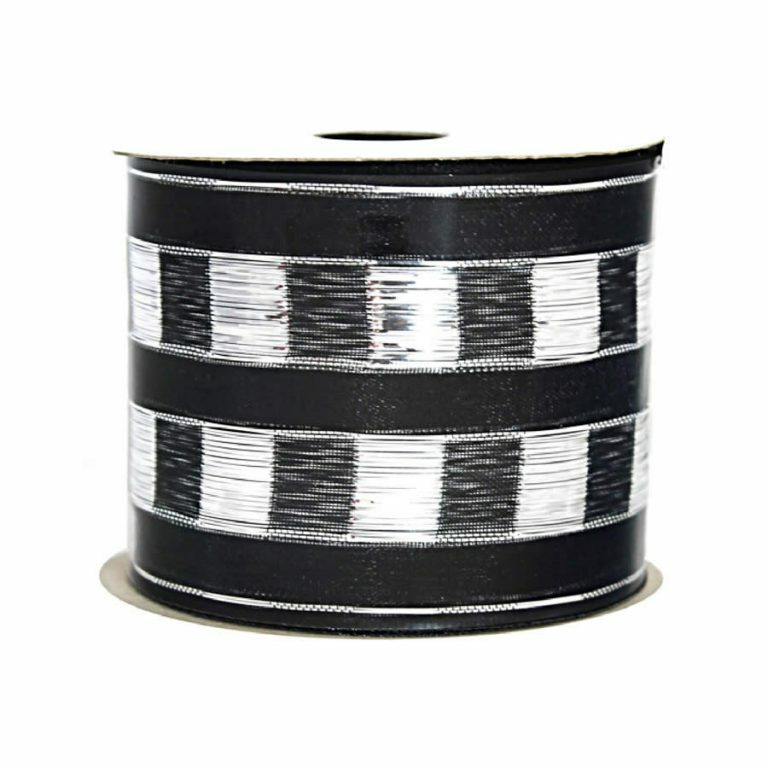 You are able to twist, bend and shape the ribbon into your own unique bows and trims that others will compliment and admire. 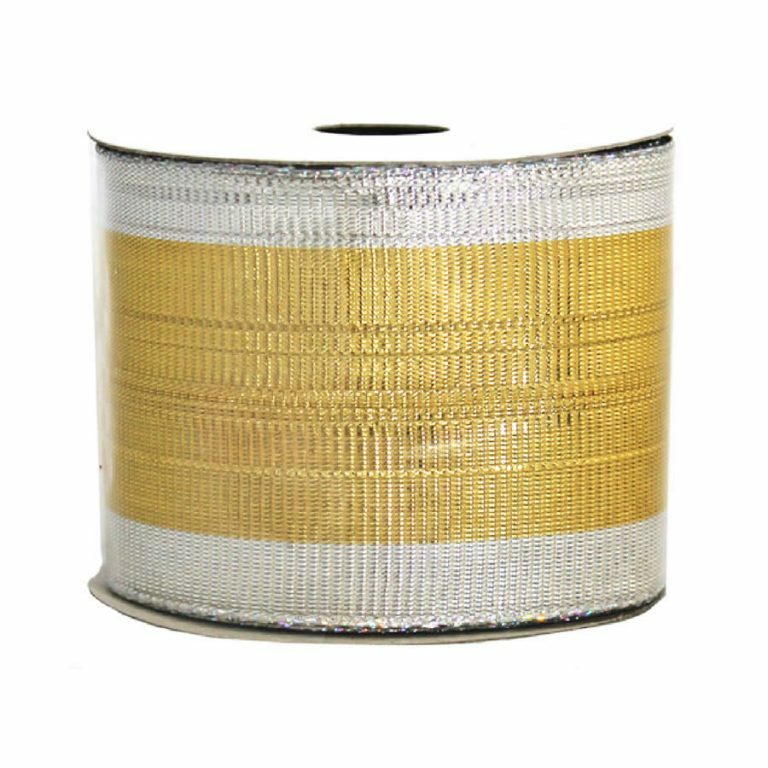 Be sure to stock up on this amazing ribbon, and be prepared for the smiles and laughter that this Ho Ho Ho ribbon will elicit this holiday season!